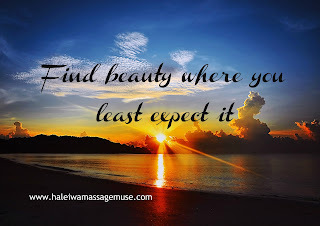 Scroll down to leave a comment or e-mail. 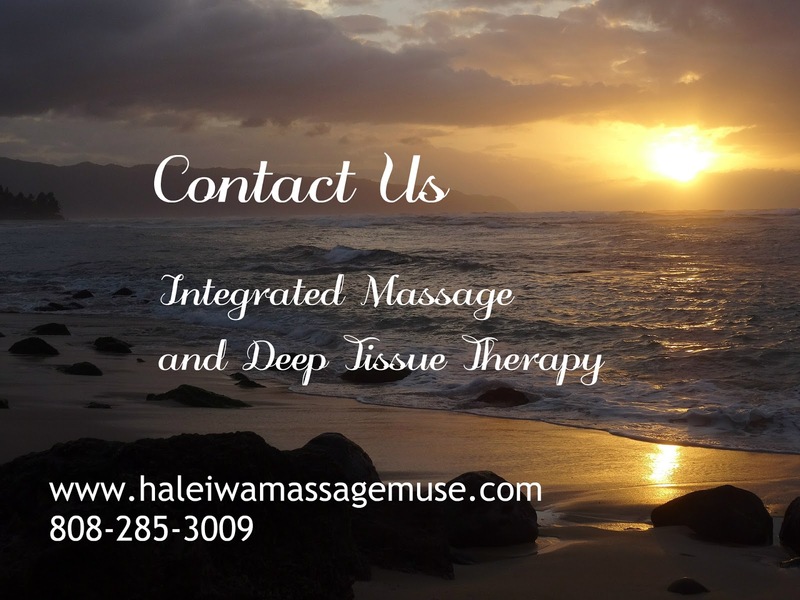 Please fill out the form below to send an email to us at haleiwamassagemuse@yahoo.com. 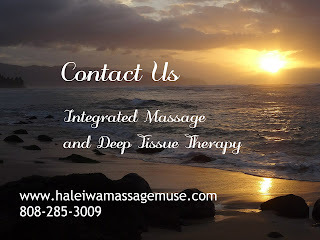 Principal Massage Therapist: Sonia Beauchamp, "The Haleiwa Massage Muse"
Location: Second floor of Ka'ala Healing Arts Center in Waialua, 2 miles outside of Haleiwa Town on Oahu, Hawaii's North Shore. We welcome your comments and suggestions. Please fill out the form below. If you have any questions, feel free to ask. 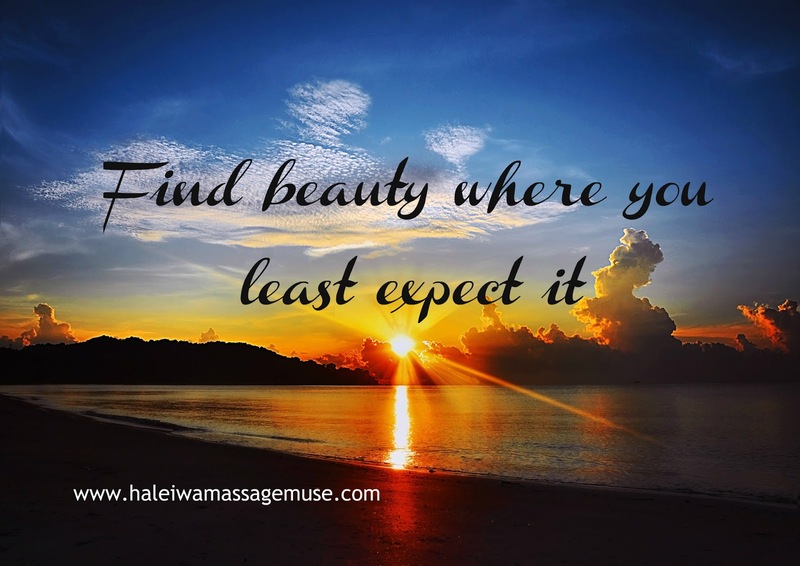 We look forward to working with you soon at our Waialua massage clinic near Haleiwa, Wahiawa, and the North Shore of Oahu, Hawaii. Mahalo!